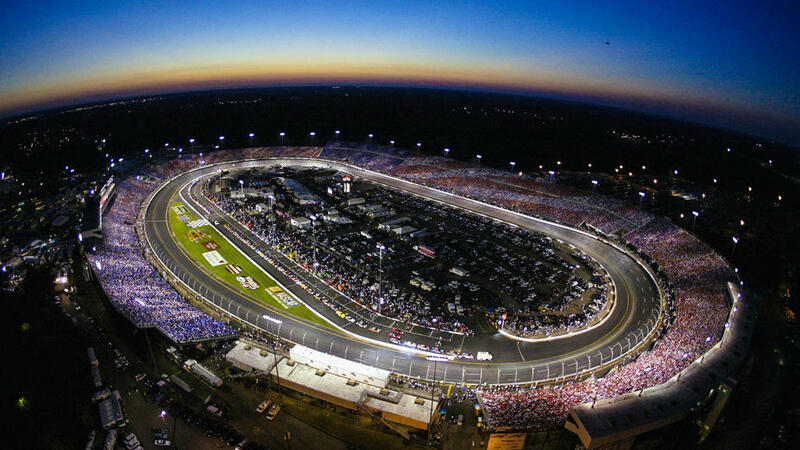 TOYOTA OWNERS 400 @ Richmond Live! Remember last year at Indianapolis, when Dave Miller blew up in 6th position and hurled Alex Crapser into his second career chase? Only he and Johnny Reed Foley missed the chase after being in the top-10 for the first 8 races. Matthew Dominique was 17th in points by this point and also made the show. Unfortunately, Tony Pizzaro will have to come from 33rd to make it in. With the level of competition this year, it may be nearly impossible. Mr. Consistency Tim McDonnell is looking good on winning his second career N.O.R.L. Extravaganza Championship, so long as the momentum continues through Richmond. 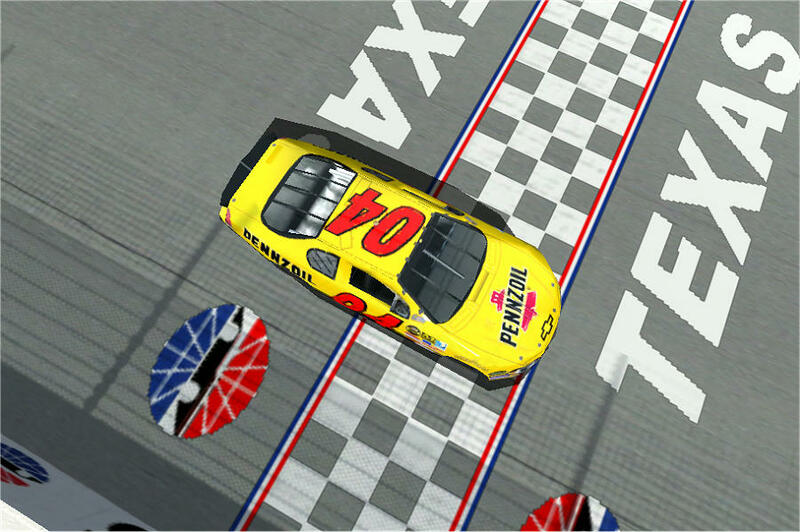 Craig Lee Wins Food City 500! It was a rare race where the middle-stages of the event sparked the most attention. There was side-by-side racing and plenty of lead changes by a few drivers who weren't expected to be on the lead lap by halfway. Besides that, the first and final third of the race were dominated by two teammates, and won would be the winner. The first 30 laps saw Tony Pizzaro, Johnny Reed Foley, Steven Spears and Mark Guthrie having to pit due to either blown tires or engine failures. 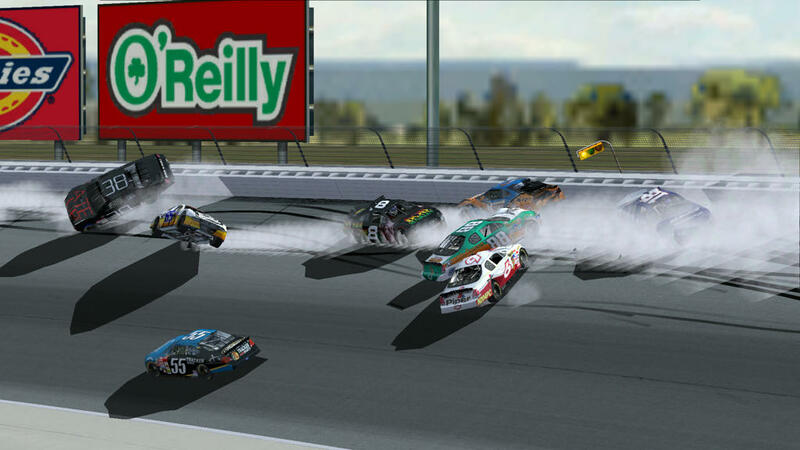 All four drivers were immediately out of contention from the start, with Foley becoming the first casualty. There would only be three cautions all night, which was a testament to the drivers meeting. Many were concerned about the aggressive maneuvers at such high speeds last week, resulting in the near fatality of Russ Charneski. They proved their concern to be genuine. Scott Jackson braked late entering turn 1 on lap 92, spinning Ben Geer to bring out the first caution. Coming to the flag, John Tharp and Zach Michael made contact and spun into the outside wall with Zakk Miller. 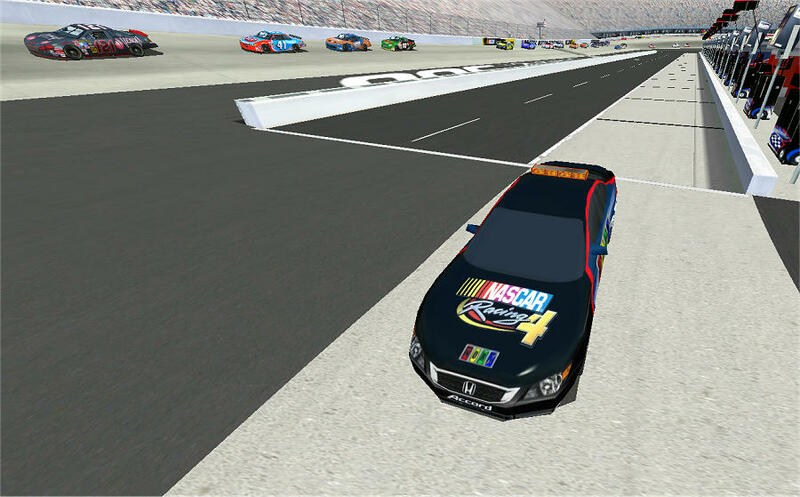 Points Leader Rick Jackson blew a tire on lap 153, shattering his streak of top-22 finishes. 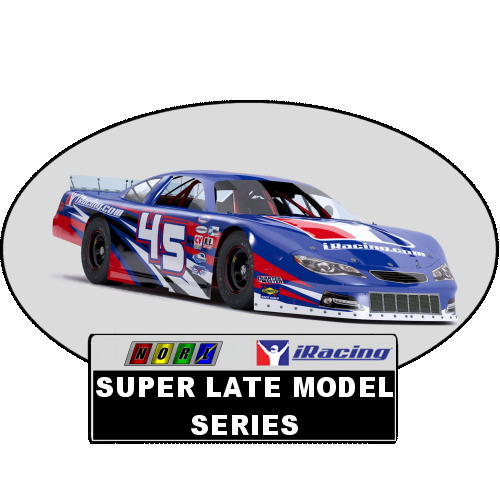 He would fall to 4th in the standings after a 37th place finish, 57 points behind new leader Tim McDonnell. Adam Crapser would blow an engine and finish outside the top-40 for the second straight week. 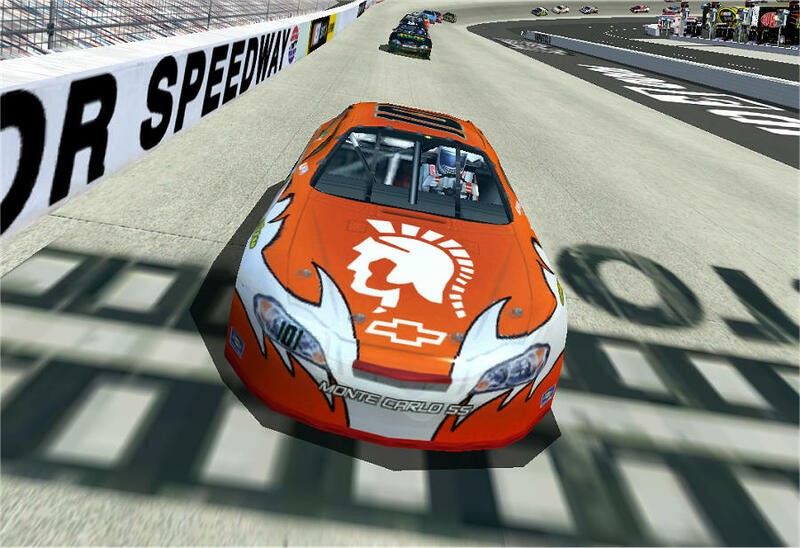 Dalton Lucas led a miracle 107 laps after starting dead last, the most in his N.O.R.L. Extravaganza career. He would be surpassed by Donald Stewart, who would lead 5 laps before losing it to Mathew Dominique. 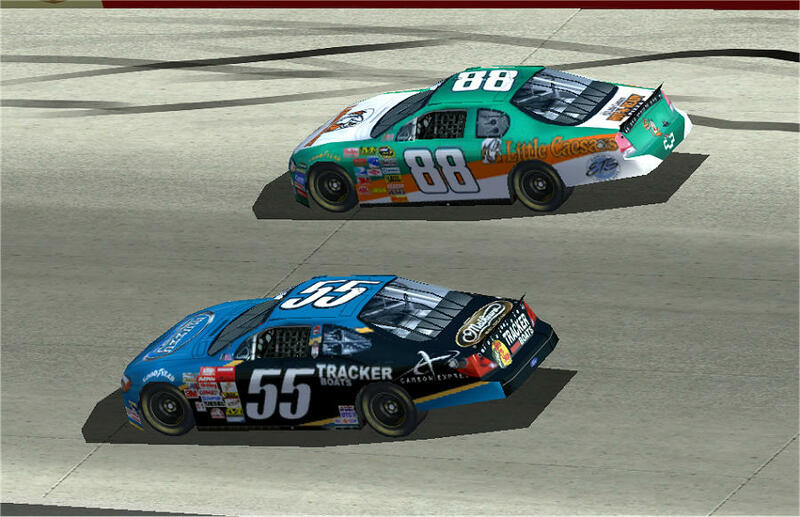 Craig Lee and him QSM horsepower wound up outmatching the winless veteran, passing Dalton with only 120 laps to go. He would go on to short-pit and come out over five seconds ahead of the field by the end of the pit cycle. Craig was on his way to a sure victory when Glenn Kaufmann and William Perry made contact, erupting an enormous crash and sending both Scott Jackson and Dan Johnston for a wild ride. Miraculously, both drivers would finish in the top-10, limping for the final 10-lap run. Craig would pull away from the pack easily, making it a race for third following teammate Ryan Heuser crawling his way back to second. Tyler Scott pulled off a miracle by winning that race, his first top-5 since the spring Talladega race in 2017, and first ever at Bristol. Craig Lee broke a 27-race winless streak of his own, and moved back into the top-10 in points after his engine failure at Texas. Congrats to Craig, crew chief Spook Millikan and the entire QuickSilver Motorsports team for an excellent victory! 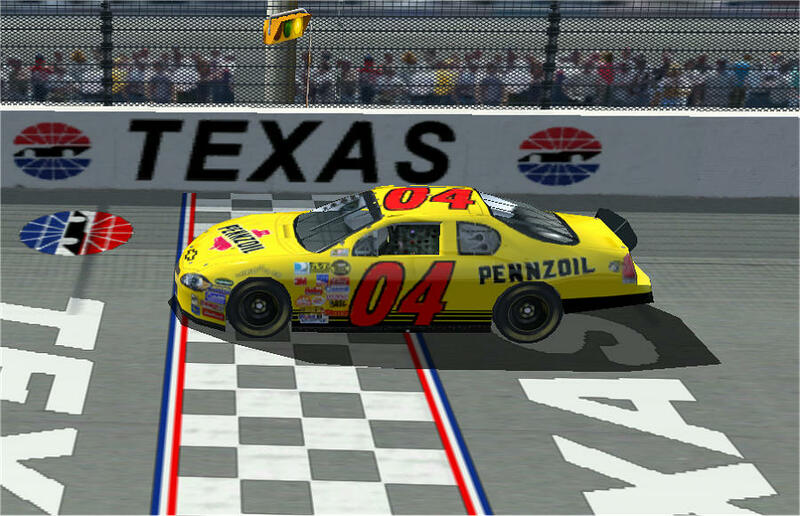 Alex Crapser Wins O'Reilly Auto Parts 500! It was a fast-paced race filled with several surprises. The top-11 drivers would all lead a lap, and the winner needed their victory more than anyone in the field. Unfortunately, the race also ended in a life-threatening injury, leaving us all left to wonder whether the speeds have gone to high. The race started with Rick Jackson at the point with a 210.461 mph qualifying lap. 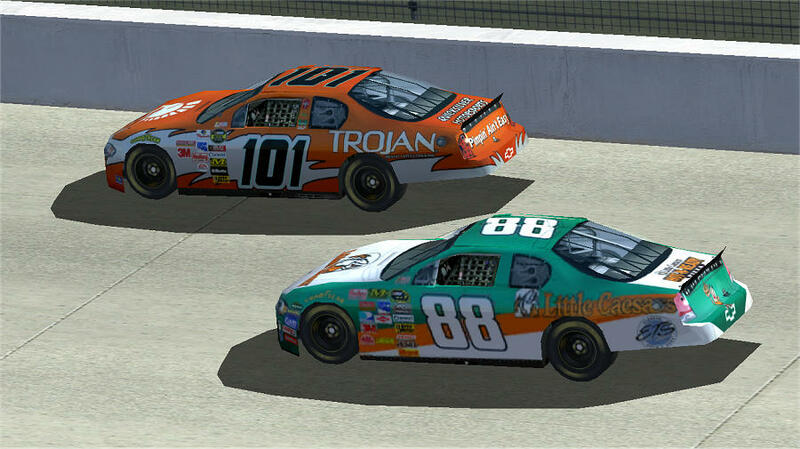 The race pace was intense from the start, with Jimmie Stevens and Ben Geer (twice) ending up in incidents. There would be 19 lead changes before green-flag pit stops on lap 69, between Rick, Craig Lee, Alex Crapser, Matthew Dominique, Scott Jackson, Ryan Heuser, John Battista, Matt Raboin and Johnny Reed Foley. On lap 120, Kevin Corbat and Jonathan Skrabacz made contact on the backstretch. 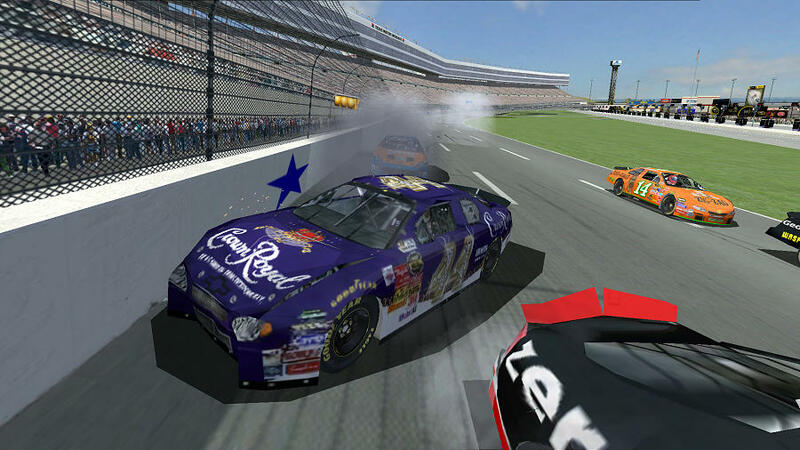 Kevin hit the inside wall hard, flying back onto the racetrack. The smoke from the incident was so bad that Tony Pizzaro hit him head-on, flying Kevin into John Battista's hood. He then pirouetted 11 times in 4 seconds before Zach Michael's hit forced his car to stop. 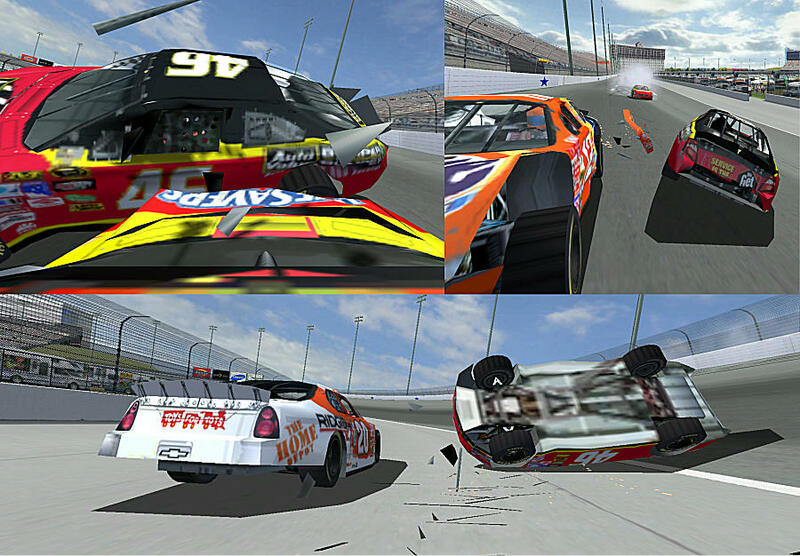 Corbat, Battista and Pizzaro all suffered minor injuries, while Michael would remain hindered for the rest of the race. William "Tex" Perry, Johnny Reed Foley and Tim McDonnell would end up in incidents quickly, with Tex the only one suffering severe damage. Afterwards we would see a lot of good racing, including a rare appearance by Michael Henson up front. Ryan Heuser, Matt Raboin, Alex Crapser and Randy Dobbins all led a lap during this period. Rick Jackson and Ryan Heuser were pulling away from the field when disaster struck. Alan Nesfeder and Ben Geer made contact out of turn 4, spinning Alan out. Dave Butterworth and Zach Michael hit him hard, sending Alan's car straight into Rick and Ryan. Both were damaged after the incident, Rick severely, and each of the top-6 were involved. It would be the wreck that changed the outcome of the race. Michael Henson crashed on lap 313, leaving Alex Crapser and Dave Miller to race hard for the final 16 laps. Tim McDonnell, Ken Pettit, Johnny Reed Foley, Ryan Heuser and Scott Jackson would all duke it out behind them, but it easily became a two-man race up front. 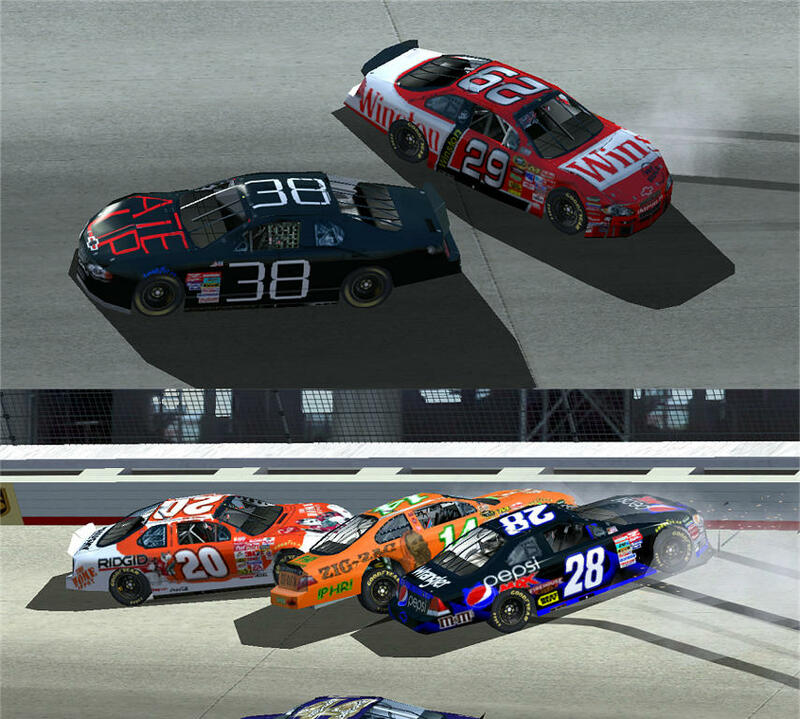 Alex would take the point from lap 321 to 329, and Dave from lap 330 to 332. On the final lap, Alex and Dave were side-by-side coming out of turn 4 trying to avoid the slow Michael Henson. Crapser used his skills to force Miller outside so he couldn't avoid having to slow, giving Crapser the lead coming into the final lap. Steven Spears, however, was not as patient as Dave. With a small three-wide opening, Spears took a chance to ensure his top-15 finish and it backfired dramatically. Scott Jackson hit the wall head-on and suffered a cracked collarbone. Spears himself ended up with his second concussion in five weeks. Russell Charneski ended up flippiong 20 times in 6 seconds and is currently in critical condition suffering from severe head-trauma, a fractured skull, broken collarbone, three broken ribs, two collapsed luings and a bruised heart. 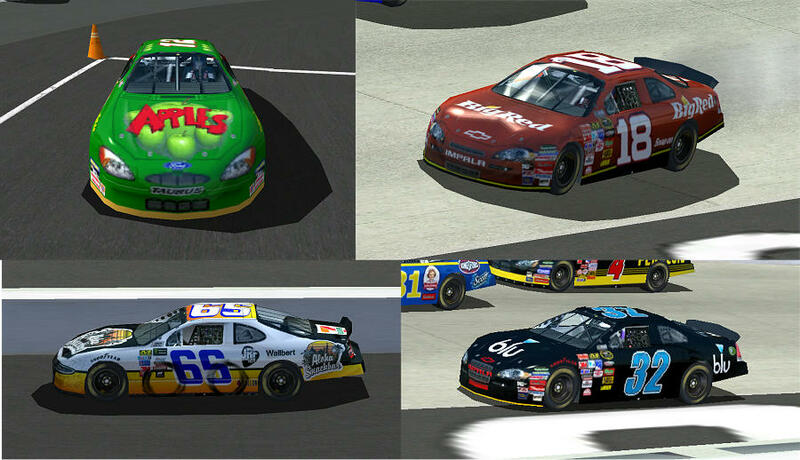 Only Alex, Dave, Tim McDonnell, Ken Pettit and Ryan Heuser would be able to cross the line on their own power, the only five drivers to finish on the lead lap. 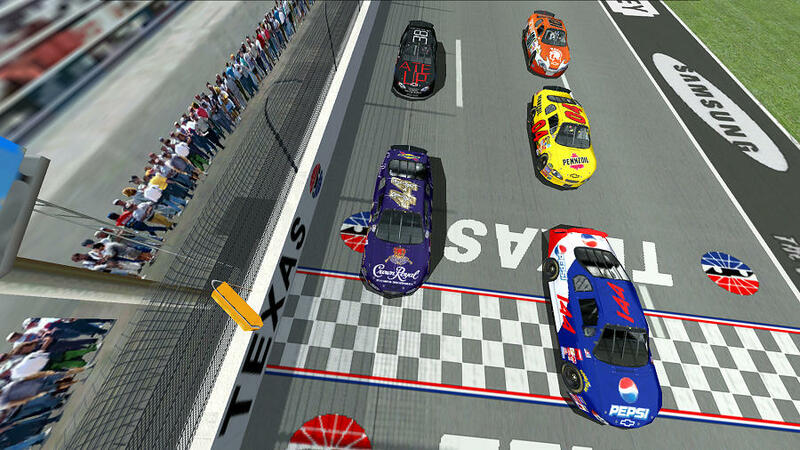 After all of that, Alex Crapser was able to fly by the ensuing carnage to grab his first victory in his only flag-to-flag competitive race of the season. After finishing 10th in points last season during a sub-par chase, everyone figured he would bounce back this season at full stride. Unfortunately, good qualifying results have resulted into poor finishes every race so far, until now. He is currently up to 19th in points, and very much in chase contention after this win. Congrats to Alex, crew chief Jeremy Hebel and the entire Lucas Racing team for an excellent victory! 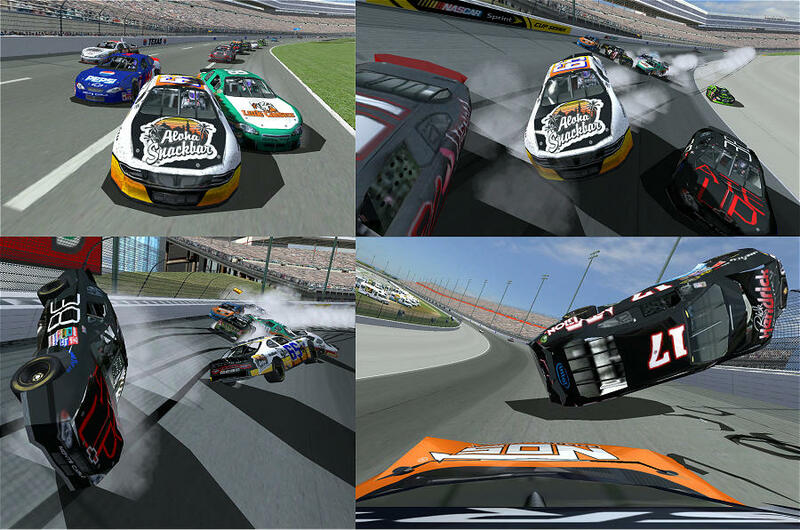 Russell Charneski flipped over a miraculous 27 times in a horrifying crash on the final lap coming out of turn 2. Action Ice Motorsports is in severe devastation, praying for their driver. It remains to be seen whether they will race again, with a new driver, or at all.